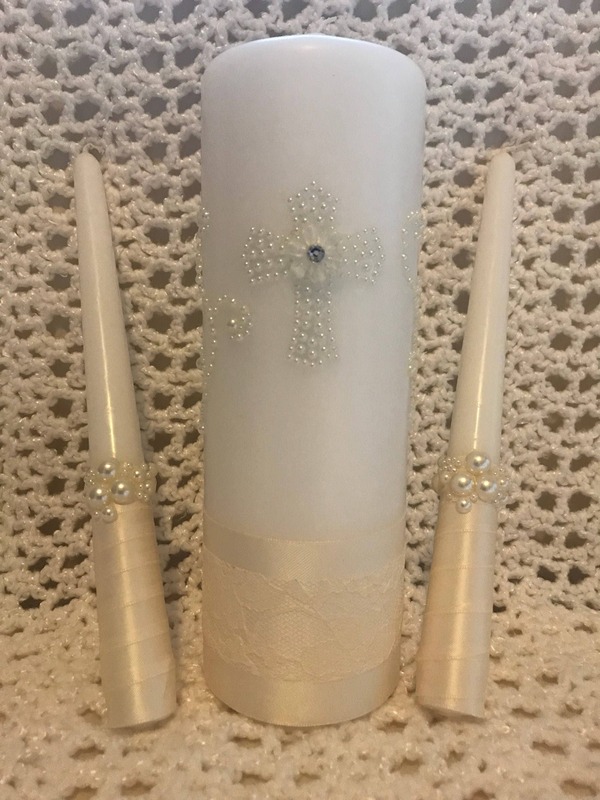 One 9x3 white pillar unity wedding candle delicately wrapped with ivory double sided satin ribbon, ivory lace and conjoined at the back of the candle with ivory pearls. 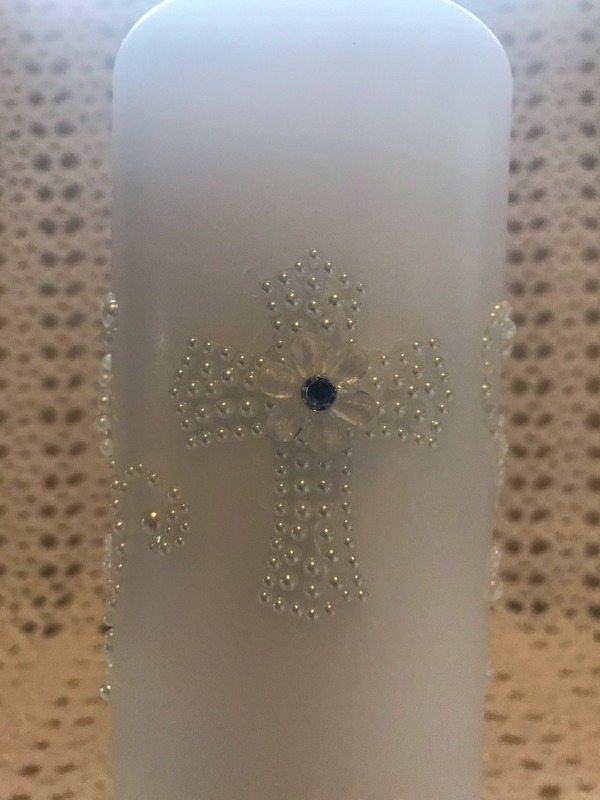 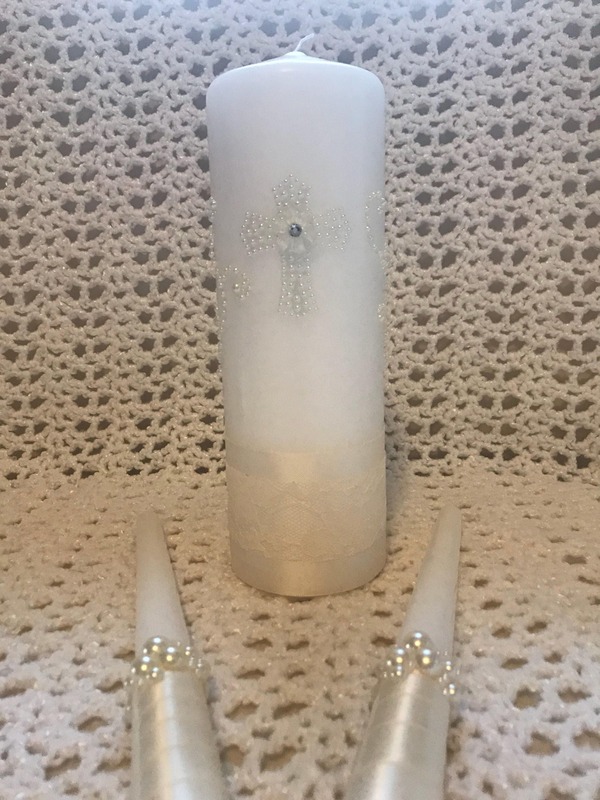 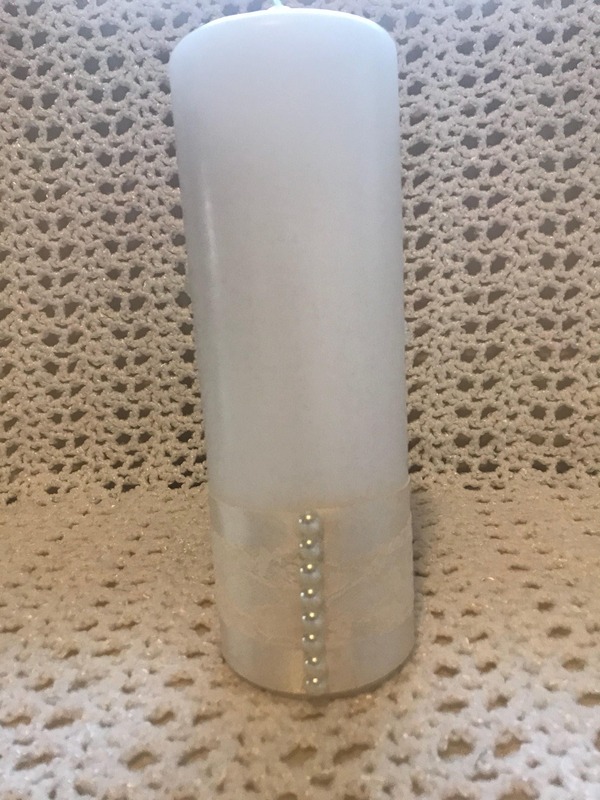 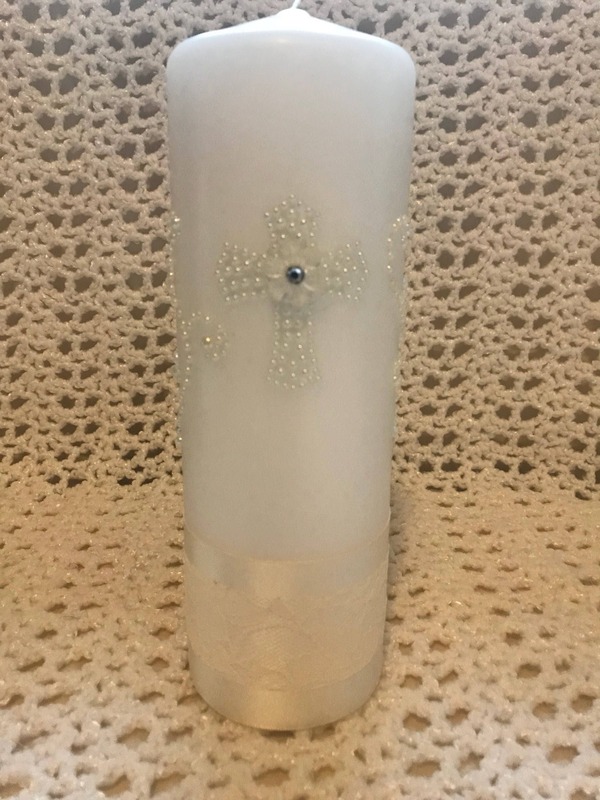 The main unity candle is decorated with a pearl cross with a white flower centerpiece and I added a pearl design to each side of the candle. 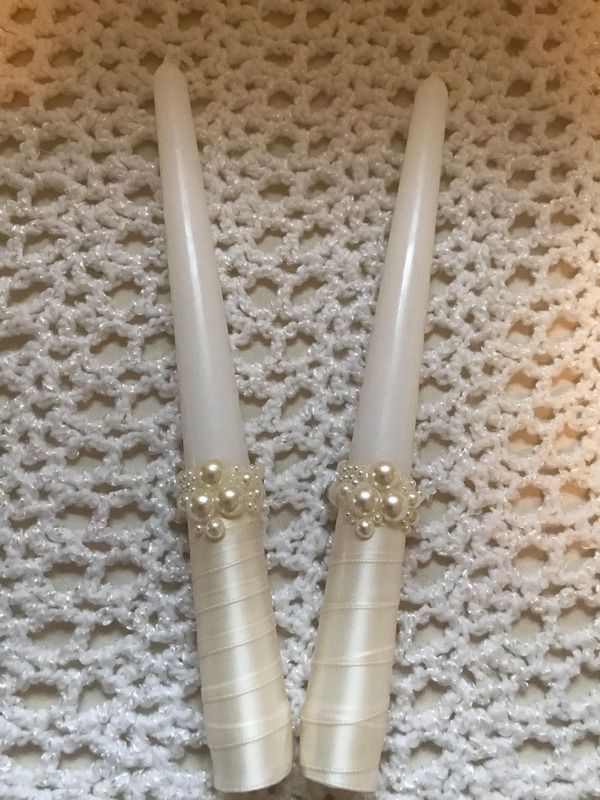 Two 10” white taper candles delicately wrapped with ivory double sided satin ribbon to avoid melting from the warmth of your hand and holding the candles for longer periods of time. 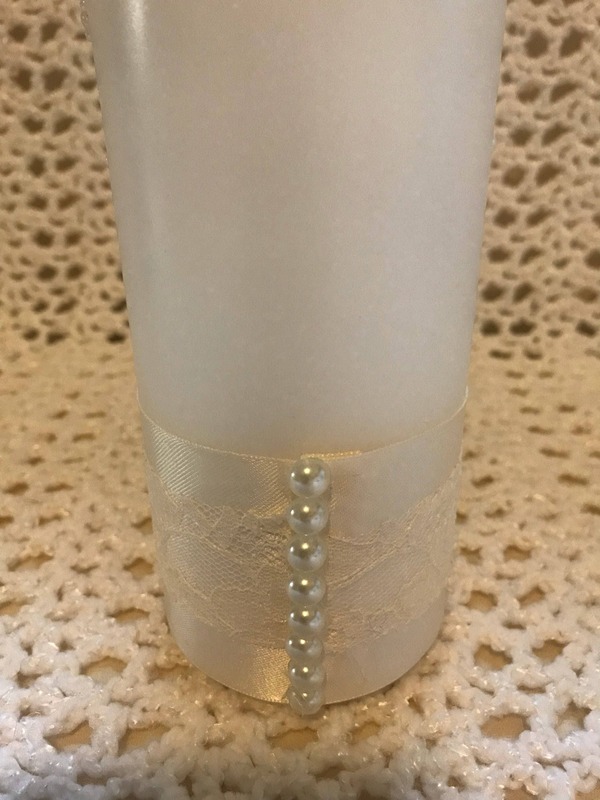 The top of the handles are embellished with pearl clusters.